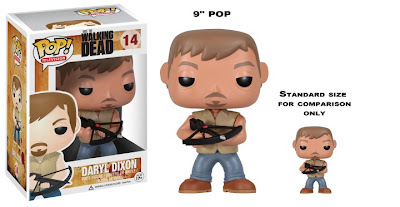 Funko and The Walking Dead fans should be pleased to do know another Daryl Dixon Pop! figure is coming this July and he is going to the larger scale with a 9" Pop! Vinyl. The Funko Pop! The Walking Dead Daryl Dixon 9" vinyl figure will be released this July 3rd.